Illumina - Accelerating the understanding of human genetics. Illumina develops and manufactures technology that allows researchers to gather, process, and analyse genetic information used to study the causes of disease. The company’s solutions for DNA and RNA analysis are used in research into genetic disorders, drug development, and the development of clinical molecular tests. Illumina, a global company with operations in the United States, Japan, China, Singapore, Australia and Europe, has chosen the Chesterford Research Park in Essex as its European headquarters. The revolutionary techniques developed at Chesterford are making studies possible that were not even imaginable just a few years ago, bringing the realisation of personalised medicine closer and Illumina’s advances in this type of analysis are exceeding the pace of development in computer processing speed and power, the so called ’Moore’s Law’. “DNA sequencing is extremely complex – there are 6 billion ‘bases’ in a human genome. They comprise the genetic code and contain the information that enables life. DNA sequencing allows us to read the genome, and determine the order of each of the bases. The first full sequencing of the human genome took over a decade to complete. With the development of next-generation sequencing a human genome can be sequenced in days, not years, and at a fraction of the cost. This opens up new areas of medical research and can speed up the development of new medicines or lifestyle recommendations,” says Sandy McBean, General Manager Europe. Location in Essex has played a role in Illumina’s achievements in this field from the outset. “The Illumina DNA sequencing chemistry originated in the University of Cambridge. When Illumina acquired Solexa, the commercial spin-out of the University’s sequencing technology, the Chesterford Research Park in Essex was a natural choice for the expansion of our operations. There is a strong connection with Cambridge and the surrounding area, with many customers and collaborators within the vicinity,” says Sandy McBean. Overall, Essex provides global knowledge-based companies like Illumina with the mix of location, access to high-calibre research staff and the business infrastructure to support a high level of international mobility. With over 30 years’ experience in the life sciences and healthcare sector Dave has an extensive range of contacts in the industry as well as experience in pharmaceutical development through to facility refurbishment and fit out. 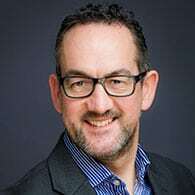 Dave’s work has predominantly been with major pharmaceutical companies, and in 2011 he was a key player in the deal between Pfizer and Mylan for Pfizer’s respiratory technology platform. Dave is passionate about growing the sector in Essex be that through foreign direct investment, partnering with the NHS or supporting SMEs. 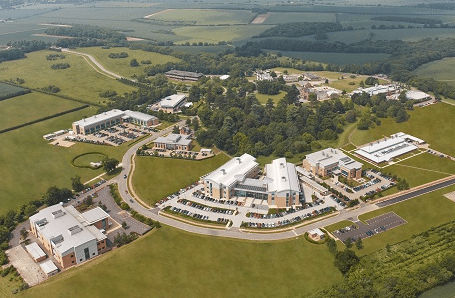 Chesterford Research Park - high-quality accommodation for pharmaceutical and biotechnology companies.